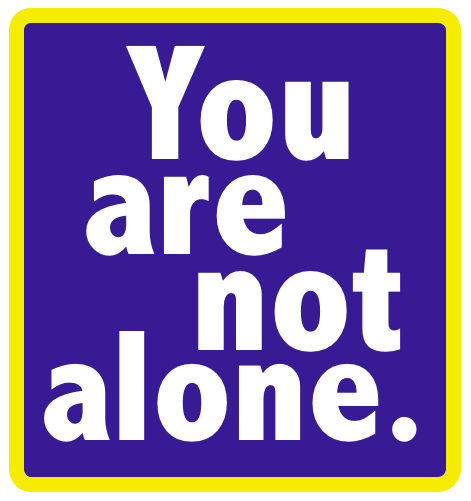 This month is a big milestone in my world with diabetes, as it's the 10-year anniversary of when I first found the Diabetes Online Community (DOC), and my discovery of the mantra, "I am not alone." At the time, I was in my mid 20s, newly-married, and had just started experiencing mild neuropathy in my feet. I was in desperate need of finding others who could share similar real-world experiences, rather than textbook medical advice or horror stories about how bad things can get. Turning to the Internet (which we did even in 2005! ), I found a woman on the East Coast who was about my age and telling her own diabetes story online. That was Kerri (Morone) Sparling at SixUntilMe, and for the first time when reading her personal posts, I felt a connection to someone who truly knew what I was going through -- maybe not neuropathy specifically, but just real life with diabetes. 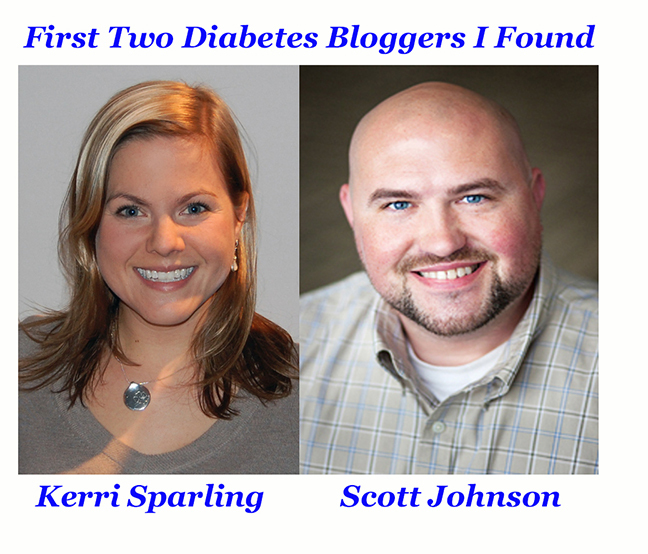 Thanks to Kerri, I soon came across another longtime type 1 named Scott Johnson in Minnesota, who was the first fellow male that I saw writing about diabetes online at Scott's Diabetes. From there, others came onto my radar -- including George Simmons at Ninjabetic, Christel Marchand Aprigliano who hosted the Diabetic Feed podcast at the time, and of course Amy Tenderich at DiabetesMine. I actually lurked for awhile at first before commenting and it was a couple of years before I began writing about diabetes on my own personal blog, The Corner Booth. Amazing how it took me several whole years to inject diabetes (pun!) into my personal writing regularly. A lot has changed in these past years, Including that big moment in 2012 when I had the opportunity to merge my journalism career with diabetes story-telling by joining Amy at the 'Mine. Remember my introduction post from May 2012? On this decade DOC-aversary I decided to reach out to those first two D-bloggers I'd found back in 2005: Kerri and Scott. I'm honored to call these two friends, and still go to their blogs daily out of habit just to see what's up in their worlds. DM) First, thank you both for being so authentic, and offering insights over the years that truly help people cope with diabetes. How do you respond when someone says that to you? KS) It sounds stupid, because I give the same answer every time, but it's the truth: when someone says to me that I've brought them some sense of peace, I don't think they realize that their existence brings peace to me. That's why I started in the first place, because I didn't know anyone in my real life that had type 1 diabetes and I felt that loneliness. It's weird to feel that way -- that you're the only one. So for someone to come up and say, "I found you and it made me feel better," I have to really quash the urge to hug them. It's one cyclical thing in diabetes that's really pleasant and nice; just hearing that I'm not alone, and having that reinforced over and over is awesome. SJ) It's a real blessing that my writing (which is a selfish, therapeutic tool for me) can also benefit others. Our mutual friend George "Ninjabetic" Simmons always talks about how important it is to know that you're not alone, and I think that sharing my struggles along with my successes does a lot to help people know that. Why is blogging important today as it was 10 years ago? KS) Dude, I keep doing this for the same reason as when I started: To remove the isolation of diabetes from my life. So if I can put my story out there and find someone, that's why I continue doing it. The connections we make with one another... that's a huge bonus. For me, the page views and attention from Pharma pale in comparison to the friendships and the value of those relationships. People can stop reading and caring about the business side of this. But the fact is that as a patient, when something gets bad, you've made connections where you can call these people for help if you need to. SJ) A big part of what makes this space so helpful to me is the sense of normalcy and knowing I'm not the only one dealing with a particular issue. And that wouldn't be possible without all of the diverse voices participating in the social media space. My challenge now is simply keeping up with all of the content being created! And think about what we have done to the search results! We are actively changing what people find when they search for diabetes information on the internet. Ten years ago it was medical information and complications. Now it is that, plus an overwhelming amount of personal, inspiring stories of people living well with diabetes! I love that! What do you think has been the biggest change in the DOC? KS) It's evolved. We don't just share our stories about some stupid high or low we had with diabetes. Over the past decade, we've really gotten to know people and what's going on in their lives. That's a long time to be sharing yourself online and for people to get to know you. I have good friends outside of diabetes that I've known for a long time but haven't really connected with them like I have with some of the friends I've made in the DOC. That's pretty mind-blowing, to know this level of intimacy exists in a digital medium. People used to wiggle their nose at that and think it was weird and suspect to have friends from the Internet. But no, I have friends. The Internet part has been removed from that equation. And now there are so many of us... It's really easy to get to know 20 or 30 people, and create a level of intimacy within that small group. But now the DOC is gigantic, and it's not just "you and me," but people who are raising kids with it and married into diabetes... The community has grown so much, and it's been challenging to get to know people in that same intimate way we did in the beginning. That's been the part I have struggled with the most. But I will not step away from long-form blogging. That's where my heart lies. Hearing someone's story, and not just some quick snippet of what's just happened, but reading the start and finish of it, that's very intimate. And that forges a connection regardless of whether you ever leave a comment or email someone. You're really getting something. I am rooted in that and love it. SJ) The biggest change in the diabetes blogging world is the number of people and the different ways and channels to create content. I'm willing to say it's impossible to keep up with everything that's being produced right now, and what a wonderful problem to have. That means anyone can find something they like, and most can find a way to create and contribute if they want to. Pharma and the diabetes industry have certainly taken notice of the DOC... what do you think about that? KS) I agree that companies have made the realization about the importance including our voices. I applaud any company that's trying to create something that serves the community. I applaud them for first trying to understand the community. That's the way to do this -- "Get to know us as people, and you will develop strategies to help treat diabetes more effectively." It has to be real. SJ) I think it's been an interesting and mostly beneficial time for both sides (pharma industry and patients). We've become a loud voice in the space and I think that alone provides value whether companies engage or not. The relationship is stronger, and I think more learning happens on both sides when companies engage. But even when they don't engage actively, they are still listening and gathering feedback. I'd like to thank Roche specifically for taking a risk with the first Diabetes Social Media Summit. They accelerated so many of the relationships that exist today. What else would you like to say to our readers -- who are both patients and industry folks -- about online patient connections? KS) Notice that when people are searching and finding you, they aren't asking questions like, "How do I titrate my insulin during exercise?" No one is looking for technical stuff when they're finding people who are telling real personal stories. They're looking for diabetes in the context of a real life. That may mean wearing your insulin pump in your wedding dress, or whatever it is. But it's not sitting around all day charting your numbers and putting boundaries around your life. That's what the DOC overall has done, pulling diabetes out of the vaccuum for doctors and many others and putting it into real life where it belongs. SJ) And I'd like to thank you, Mike, for your constant contributions and hard work over the past 10 years. Your voice and reporting skill does really great things for all of us, and I appreciate you. Here's to the next 10+ years! Honestly, we can't say enough about Kerri and Scott, as well as the entire DOC. People in this community have shaped who I personally have become and helped me through some of the darkest moments in my life relating to diabetes. To every single person reading this, I say Thank You. We'll soon be compiling our monthly Diabetes Blog Roundup that showcases some of the favorite posts we've read over the past month. We love going through all of our longtime favorites, as well as discovering newer blogs, and seeing new ways that stories are being shared out there. Hopefully, those stories are resonating, because connecting the dots with between our collective experiences is what makes the DOC what it is. So what do you think, Friends? How did you first find this community of pancreatically-challenged peeps, and what have you observed since discovering the online universe?